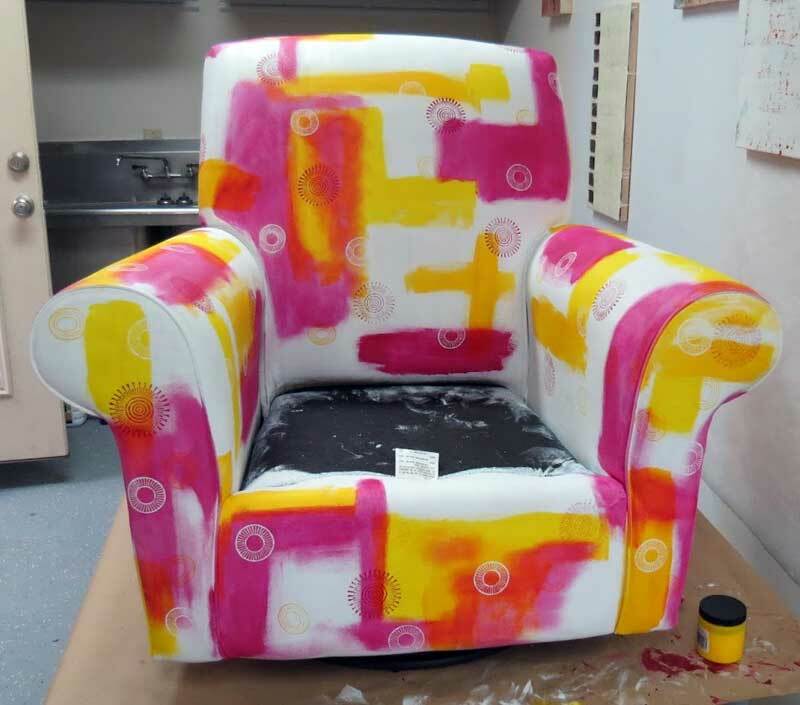 While Judy’s away, we are sharing a wonderful post by fiber and mixed media artist Judi Hurwitt, who recently completed the transformation of an armchair using fabric paint and a selection of the wooden printing blocks sold by Artistic Artifacts that Judy had gifted her with. Yes, Judy is on a well-deserved vacation to Italy! 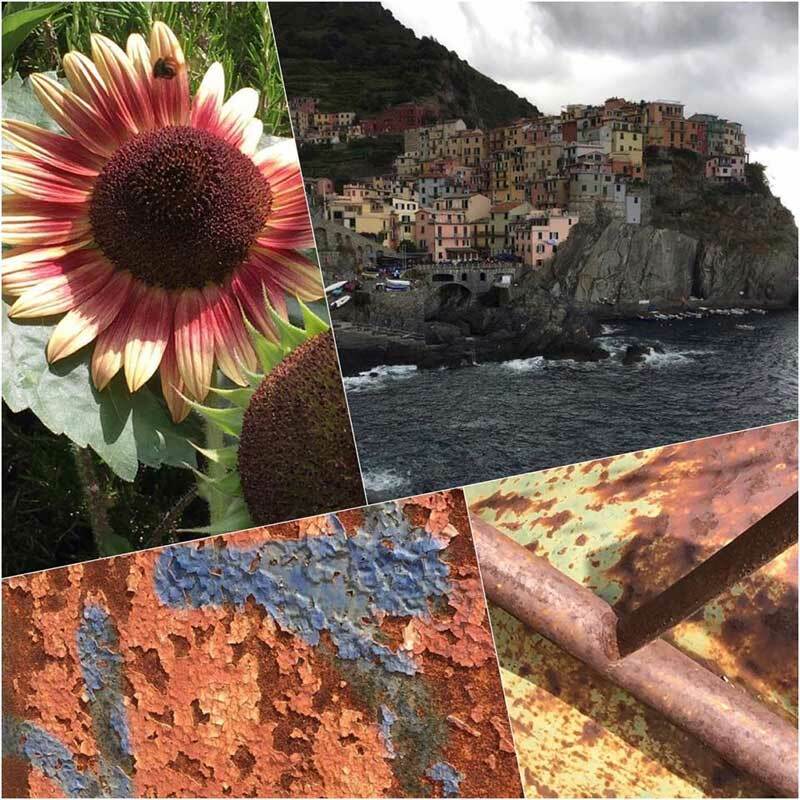 If you haven’t been checking the Artistic Artifacts Facebook page, do so — she is posting some absolutely gorgeous photos of scenery, color and texture to make us all drool with envy. 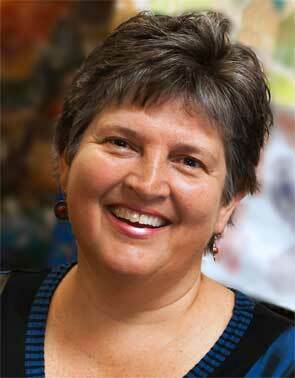 Upon receiving the blocks, Judi Hurwitt promised a project and a blog posting…and wow, what she dreamed up! She purchased an upholstered rocker/glider combination arm chair from a neighbor that was in great condition, but upholstered in a pastel nursery fabric (as shown at the top of this post). She got back on track after time to finish with a complex blend of color, pattern and texture — we’ve shown you just a small detail “teaser” photo above. Visit her blog, Approachable Art by Judy Hurwit for the finished chair, and more on how she transformed it, including many more of her photographs (several used here with her permission) and info about breaking out of that artist lock. Plus, we have another chair transformation to share with you! 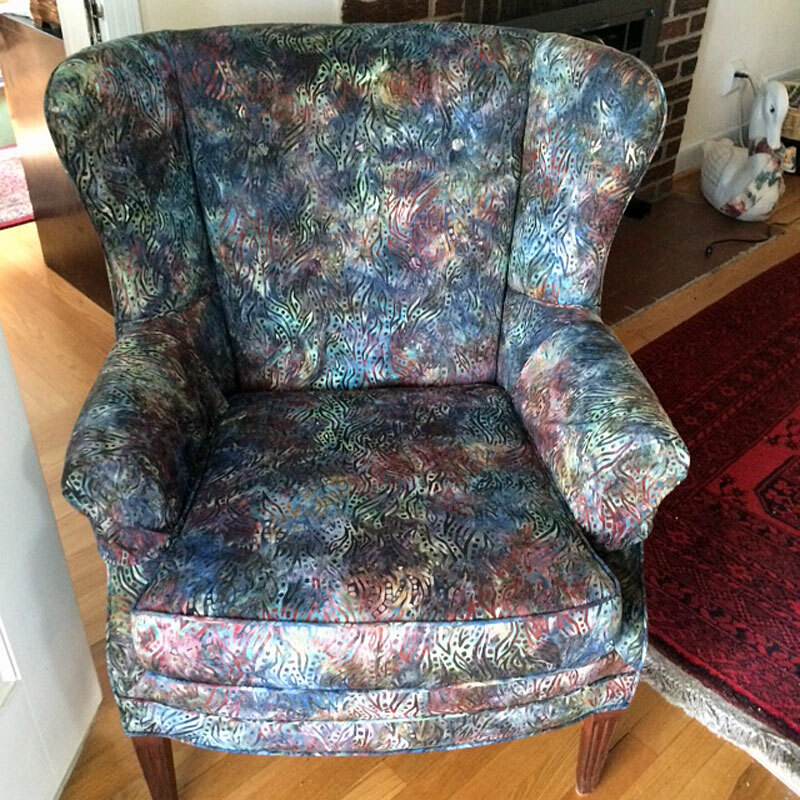 The batik beauty pictured above began life upholstered in a large floral/fauna fabric featuring colors that no longer suited the owner, our friend and customer Ellen Taylor. Didn’t it turn out wonderfully? 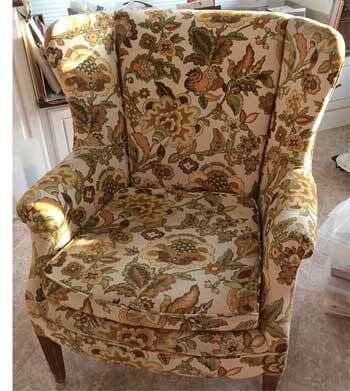 The “before” wing chair is pictured here, right, and was in good shape otherwise. 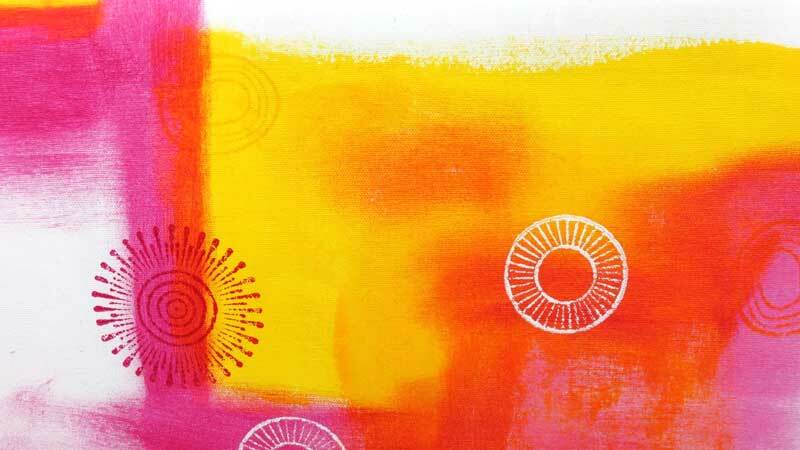 Ellen perused many of our beautiful batik fabrics before finding the perfect one for her redo. While she didn’t upholster the chair herself, handing it off to a professional, depending on the complexity of your chair and your own level of expertise you might feel up for the challenge of doing it yourself. Either way, you end up with a one of a kind piece of furniture that sparks joy every time you see it! Ellen is a member of JAMs (Judy’s Altered Minds), which meets at the Artistic Artifacts shop on the third Sunday of each month. If you don’t live close enough to join us in person, we hope you will join our new Facebook Group, Artistic Artifacts’ Creative Minds, which serves as a “virtual” extension of JAMs. Representing all levels of expertise, Artistic Artifacts’ Creative Minds is a online home for our Creative Minds to encourage and support like-minded friends! 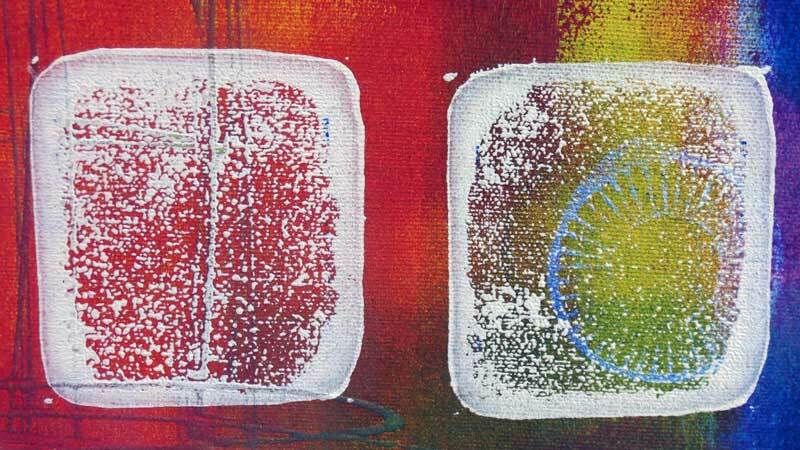 Group members from all over have a place to share ideas and projects with one another. Art quilters, collage artists, art journal keepers, surface design enthusiasts, paper crafters, assemblage & art doll artists — come join us there!